All children will be taught the skills and knowledge of maths as outlined in the programmes of study in the National Curriculum for Maths. Mathematics is essential in everything we construct, everything we calculate and many problems which we have to solve in our daily lives. This is reflected in school when maths is practically applied. 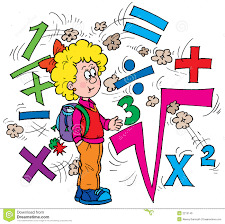 Children's knowledge, skills and understanding in mathematics develop as they use it in practical activities, to solve relevant and meaningful problems and to explore the patterns and relationships on which mathematical concepts depend. Our chief aim is that all our pupils will develop a positive attitude to mathematics and learn to use it with confidence and understanding. Each class has their own resources for number, shape and measure. Additional resources are kept in a central mathematics area.